What was the growing season like overall? BAROSSA: The growing season started off well, with the 2017 winter rainfall about 10% above average, continuing on the trend from the cooler 2017 vintage. However, spring rainfall in the Barossa Valley was about 20% down on average and importantly December rainfall down in both Barossa and Eden Valley. The slightly warmer spring conditions meant the vine canopies grew quickly, flower set was even and resulted in a nice balance of bunches and bunch size. HUNTER VALLEY: The winter of 2017 was the driest since 2002 with only 5 inches of rain recorded in 6 months. Thankfully spring was wetter with 10 inches falling between October and December. A record heat wave then followed in January and February with 35 days above 30C and 12 above 40C. No disease pressure leading up to and during harvest. MARGARET RIVER: Winter was 20% wetter than average which delivered great moisture levels in the soil through a warm and dry spring. There were excellent conditions during flowering and fruit set with healthy canopy growth and good shoot extension leading into the summer months. YARRA VALLEY: November/December 2017 was mild with a number of significant rain events, that replenished ground water and helped the vines maintain good healthy canopies. January was warm with a few heat spikes, causing some sunburn in exposed areas of the canopy. Overall a mild to warm season. What were harvest conditions like? BAROSSA: Conditions leading up to harvest, in January and February, were warm and dry. There was a short hot spell in February which slowed down the pace of ripening. Temperatures in January were slightly above average during the day and about average at night, whereas February was about average during the day and significantly above average at night. These temperatures, combined with summer rainfall 50% of average meant that vineyards with access to water, healthy soils and smart vineyard management practices were at an advantage. Ripening conditions in March and early April were almost perfect. HUNTER VALLEY: Overall a stress free harvest that was quite hot with 41 days out of the 59 above 30C but only 6 days over 40C. MARGARET RIVER: Leading into the 2018 vintage the temperatures were below average, but this allowed for very effective photosynthesis within the canopies and consistent even ripening of the fruit. The vines were not impacted by any severe heat or moisture stress. Average daily maximums through January and February were slightly below average, with only 5 days above 30 degrees. YARRA VALLEY: Despite a few significant rain events, including a few dramatic lightning storms in January, the majority of the harvest season was extremely dry. Picking started early – seems growing conditions were so good, the final stages of ripening seemed to accelerate as soon as late January began to warm up. Were yields up, down or average? BAROSSA: Yields are down compared to 2017 and generally appear 10-20% below the long-term average. Berry and bunch size was, in general, smaller compared to 2017, leading to more concentration and vibrant colors. HUNTER VALLEY: Yields were down slightly as expected with the dry conditions. MARGARET RIVER: Healthy, balanced yields (average to above average) were experienced across all varieties which was helped by the late spring conditions. The moderate temperatures through the summer provided excellent fruit composure with great intensity of flavor. YARRA VALLEY: Yields were relatively large – 20% up on an average year. This was principally due to larger than average bunch weights across Pinot and Chardonnay. BAROSSA: Shiraz from the Northern Barossa had a very strong vintage. Also, Eden Valley has been a stand out, with wines displaying intense color, aromatics and concentration of flavor whilst maintaining the typical elegance of the region. Grenache and Mataro, particularly dry grown old vine examples, have really shone this year. HUNTER VALLEY: 2018 Hunter Valley Shiraz will be outstanding and coming not long after the excellent 2014 vintage, it will be interesting to compare the two in years to come. MARGARET RIVER: Chardonnay, Cabernet Sauvignon, Malbec & Merlot. YARRA VALLEY: Chardonnay and Pinot Noir. The larger canopies, dark green leaves and healthy growing season seems to have delivered some extraordinary fruit. The success of the season is really in simple vine balance – having such successful crop set allowed a very selective fruit removal. Timing here was critical and the good Yarra vineyards were full of people in January removing fruit. So, despite the presence of heavier clusters, the vines were still in “balance”. Early thoughts on the style this year? BAROSSA: The 2018 wines will display more concentration and structure compared to the 2017 wines. They look to have found a balance between structure and concentration yet maintaining a brightness of fruit and lovely varietal expression. HUNTER VALLEY: Even with the weather, Semillon was picked at a potential alcohol of 11% up to 12% and with very high acid. Some wineries report alcohol over 12, and they will be interesting to watch over time. Shiraz is concentrated and the alcohol levels vary between 13.5 and high 14s. Even so they still fit the ‘medium bodied’ structure of Hunter Valley red wines. MARGARET RIVER: Excellent vintage for concentration, balance and perfume. It’s different to 2017 as the yields are slightly lower and there is more aromatics and structure. 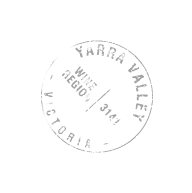 YARRA VALLEY: Chardonnays are minerally, having good flavor ripeness at low sugar concentrations and very good acids. The Pinot Noirs are highly perfumed and are showing good color intensity.